Back in early 2000s, if you asked somebody who from the trendy garage rock revival we’d be hearing from in 10 years, you’d be hard-pressed to find anyone answering “the Black Keys.” At the time, bands like the Strokes and the White Stripes (and to a lesser extent the Hives and the Vines) were variously dubbed the “saviors of rock ‘n’ roll” or some such nonsense, while the Keys languished in obscurity, never breaking through the way their peers did. Dan Auerbach and Patrick Carney were likely dismissed as a second-rate White Stripes given the groups’ surface similarities (both groups were Midwest color-themed blues-rock duos), but in actuality the Black Keys were always the more traditional of the two, and straight-ahead, gritty blues didn’t appeal the same way the boundary-busting Stripes did. In any case, the Keys stuck it out through the decade, creating an impressive, consistent body of work, building an audience the old-fashioned way, slowly but surely. However, everything changed in 2010: On the strength of the single “Tighten Up,” their sixth album, Brothers, shot them into the public eye, garnering them a Best Alternative Album Grammy and the larger audience they always deserved. And with the White Stripes disbanded and the Strokes no longer fronting a rock revolution, the Black Keys’ breakthrough couldn’t have happened at a better time. All this begs the question, though: How will the Black Keys capitalize on their newfound success? Well, 2011’s El Camino picks up where Brothers left off, deepening that record’s affinity for retro soul and pop, while still banging out tough, bluesy riffs. In one sense, this is a give-the-people-what-they-want album because it consolidates Brothers‘ strengths into a tighter package, but that gives the impression that El Camino is the sound of a band cashing in, when in reality, it’s the sound of the Keys just having some fun and throwing themselves a party. It’s a bright, energetic album with little time to waste on anything besides fuzzbox guitar and big, crashing beats. (Even the down-and-out folk of “Little Black Submarines” eventually slams into a Zeppelin-esque fury as it closes out.) 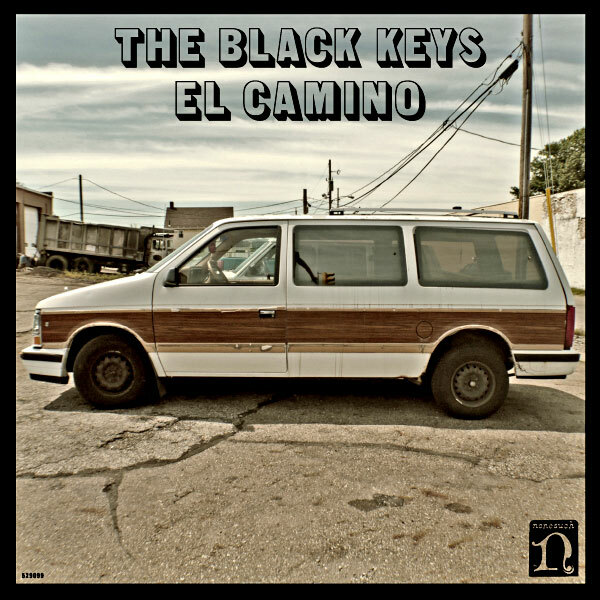 It’s not that the Black Keys took themselves particularly seriously before, but with the simple, singable lyrics and hooks of songs like the instant classic “Lonely Boy” and the shuffling “Stop Stop,” El Camino sounds like a lost collection of great ’70s rock singles. Part of the album’s power is due to the return of Danger Mouse, who produced 2008’s hazy Attack & Release. He pulls the polar opposite stunt here—everything is bright and alive, with the raucous rhythm section brought upfront. Some longtime fans may scoff at the more crowd-pleasing direction the band went here, but those sorts of people aren’t invited to the party that El Camino throws anyway.